A disease is termed as a rare disease if it affects a small percentage of a given population. A disease can be rare in part of the world and common in another part. Most rare diseases are genetic, hence chronic; with a large percentage affecting children. Rare Disease Day is a day held to raise awareness on rare diseases, improve access to treatment as well as create support networks for individuals living with rare diseases and their families. It is marked on the last day of February each year since 2008. 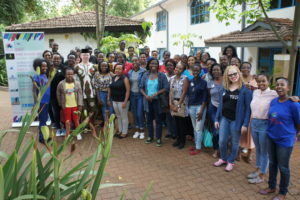 Kenya has marked this day since 2014 by raising awareness on rare diseases among the general public, policy makers, public authorities, industry representatives, researchers, health professionals and anyone who is willing to listen. 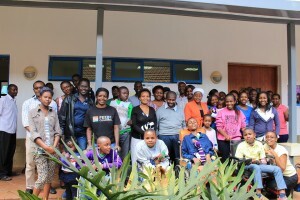 Step by Stones together with Muscular Dystrophy Society of Kenya have and continue spearheading this campaign. In 2014, we raised awareness by talking about Rare Disease Day on a morning talk show (https://www.youtube.com/watch?v=xfdk_cDvMoI). We also raised awareness through social media and printing of bumper stickers. In 2016, we held the first ever rare disease day physical event in Kenya. This saw different people with different rare conditions come together to celebrate the day (https://www.youtube.com/watch?v=FnOO-vdOMRU). We also raised awareness through social media and printing of bumper stickers.